Global Diabetes rate to hit 642 million by 2040. Researchers at the MRC Mammalian Genetic Centre UK Research Institutes have predicted, diabetes rate globally will hit 642 million by 2040. As a result, the institute is researching into the genome of a mouse to derive a solution for the condition. A Research to establish whether or not the cause of diabetes has a gene factor is underway in the UK’s leading Research Institute in Harwell. The step was triggered by the increasing number of 415 million lives that are with the disease Globally. The condition is predicted to rise to 642 million by 2040. Out of this number, 3.7 million people are currently living in the UK with type 2 Diabetes and patients spend 27 million euros daily on treatment. The condition according to Dr Roger D. Cox the leader of MRC Mammalian Genetic Centre UK is on upward trajectory and the number of younger people between the age bracket of 25-35 is on the increase. Even though it is always tagged as the ‘’disease for the old’’ but everyone is at risk. It is common in Pima Indians and Native American population. He cited fetal growth and intrauterine environment, low birth weight, thinness at birth, small size in relation to placenta as the causes genetically so far. Speaking to the 16 selected Science Journalism ambassadors from across Africa at a week’s training organized by the World Federation of Science Journalists in collaboration with the UK Research Institute in Harwell UK, Dr Roger D. Cox maintained, they are using mouse Mutation Functional test on genes of a mouse for a role in Diabetes as fundamentals to make mutations and test. This focuses on areas like physiological consequences, alterations in fat distribution and developmental changes in fat. This model regulatory elements identified by functional SNPs in human, using the mouse is 90-100 million years of divergence Mouse –Human. The sub-Saharan region has also not been left out, as it counts over seven million people with diabetes according to the International Federation of Diabetes. Ghana has ranked sixth among other Africa countries, by the World Health Organization (WHO) on diabetes between 2016 and 2017 and approximately 13.6 million people are with the condition in Ghana. 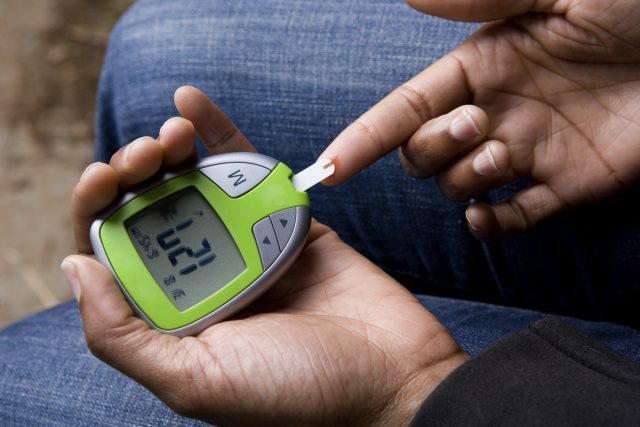 Nigeria has the highest number of 1,218,000 diabetes cases, followed by Uganda and Tanzania. The researchers say, the way forward is the Need for better treatments, cater for the Limited range of drugs issues, reduce the complications of diabetes. And the New genes and pathways may reveal new therapeutic targets and strategies.